Ships today if you order in the next 1 hours 35 minutes. You're supplement is only as good as your body's ability to absorb it. 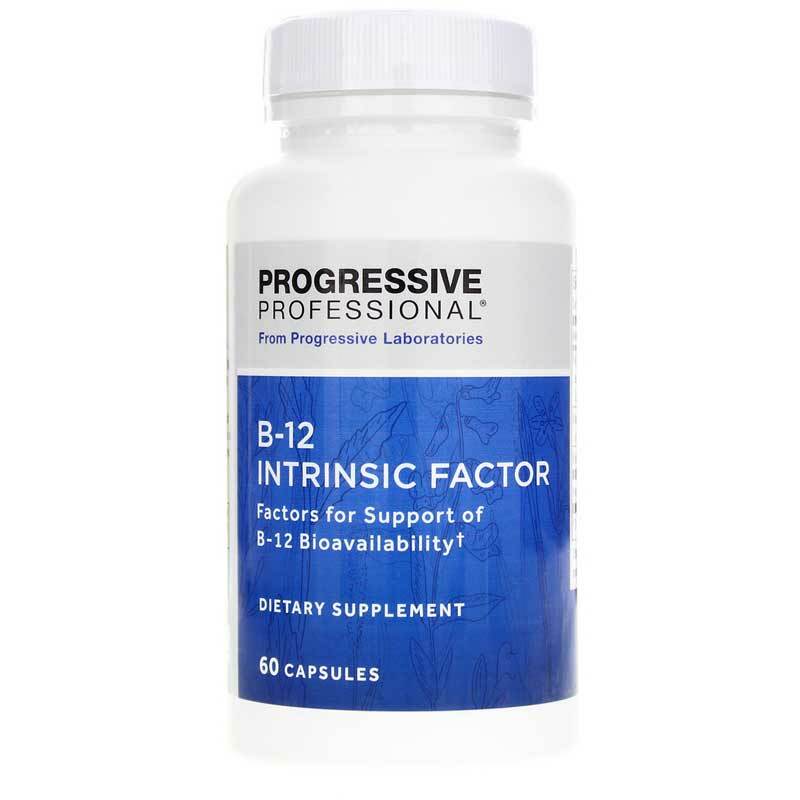 Make sure you're getting the most from your B-12 with B-12 Intrinsic Factor from Progressive Labs. This high-quality B-12 supplement provides a potent amount of bioavailable B12 (500 mcg), plus the cofactor B vitamin folate, as well as intrinsic factor and porcine glandular and tissue ingredients to support optimal vitamin absorption. Vitamin B-12 plays important roles in the brain and nervous system, supporting nerve function mood and more. In addition, B-12 helps your blood transport oxygen by supporting the formation of hemoglobin, and also supports healthy proteins. But it's not enough to take just B-12. Vitamin B-12 and folic acid work together as cofactors in the cellular production of nucleic acids, protein and certain amino acids. That's why B-12 Intrinsic Factors also contains 800 mcg of bioavailable folate. 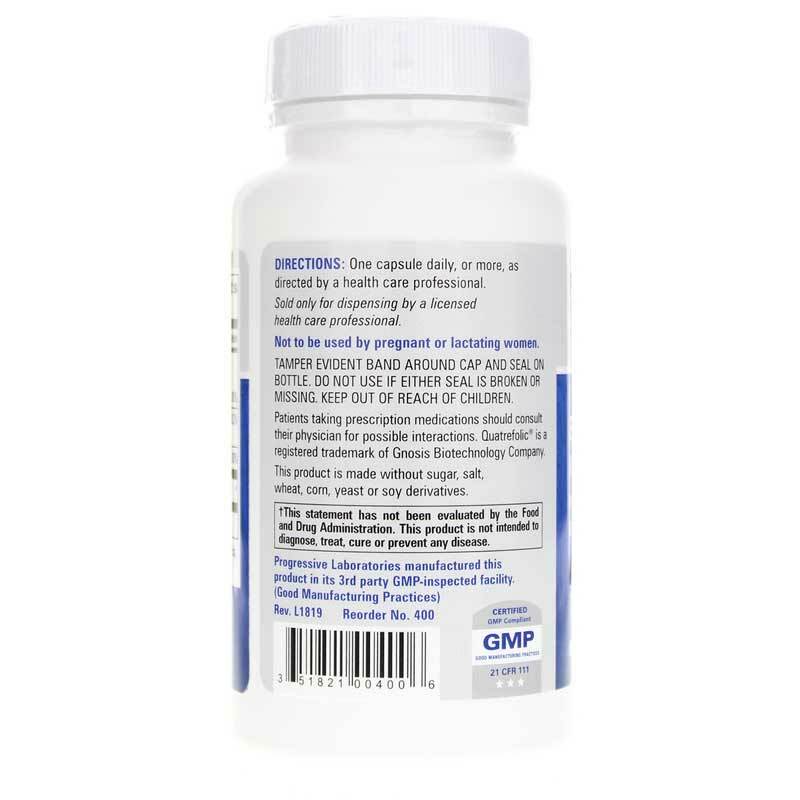 And to make sure your body gets the most benefit possible from this B duo, this supplement also contains intrinsic factor and porcine derived stomach substance, duodenal substance and pancreatic enzyme concentrate. The natural properties of these ingredients help to support B-12 absorption. For quality and purity, the porcine glandular material is prepared by a special process that does not exceed physiological temperatures of 37C, thereby preserving the delicate compounds. It is guaranteed to be free of chemical pesticides and synthetic hormones. Get the B vitamins you need with the support you need to absorb them. 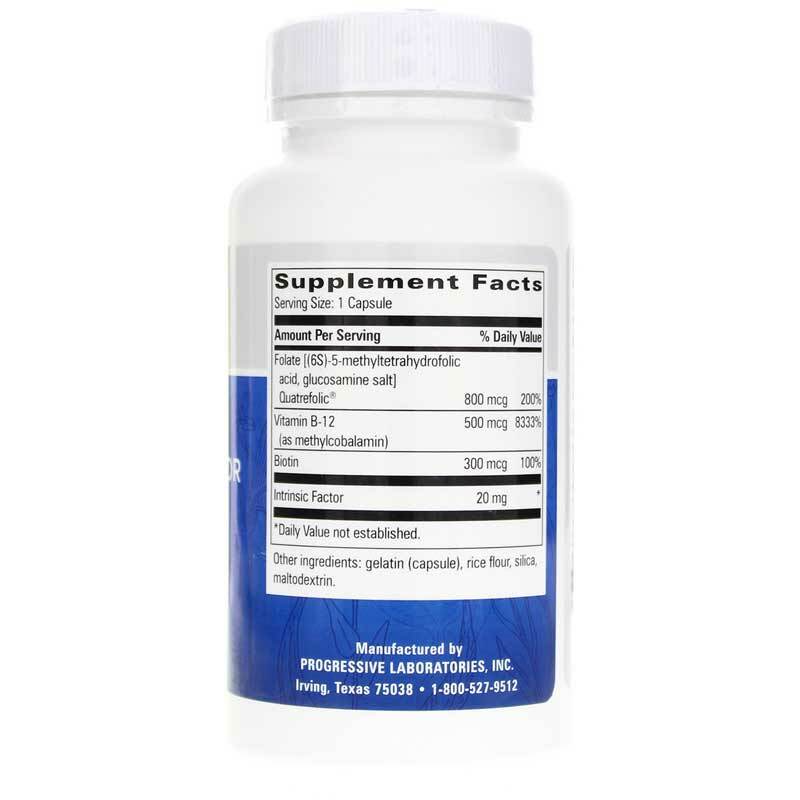 Order B-12 Intrinsic Factor today! Other Ingredients: gelatin, rice flour, silica, maltodextrin. Adults: One capsule daily, or more, as directed by a doctor. If you are pregnant, nursing, or taking prescription medications, consult your healthcare professional before using this product. Keep out of the reach of children. Excellent product for those with energy issues related to autoimmune or blood disorders.